Home / Food / The Saucy Fish Co. I met The Saucy Fish Co. team at the Be: Fit London (see blog post here) show a couple of weeks ago and they sent me home with a selection of meals to enjoy at my convenience. The Saucy Fish Co. started three years ago with an aim to make cooking with fish simple and exciting. They offer a range of attractively packaged fish (sourced from certified farms in Scotland and Norway) paired with delicious pre-made sauces. I think you will agree with me that these sound delicious. The portions were on the small side though so a side of something was most definitely required. 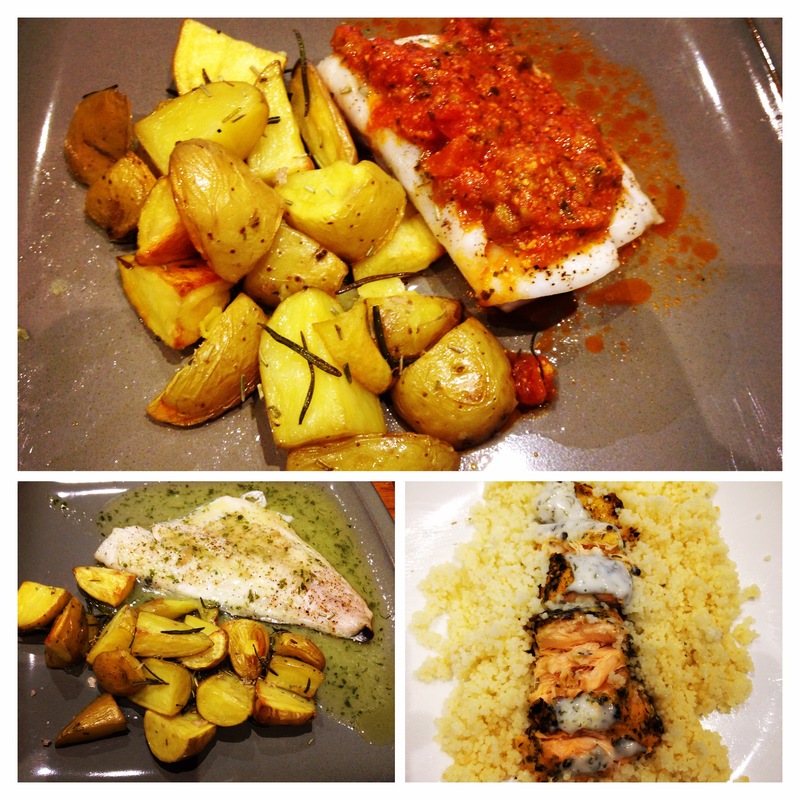 I roasted rosemary potatoes with the cod and sea bream and made some quick and easy cous-cous with the salmon fillets. The directions for cooking the cod and sea bream were super easy to follow – just bake in the oven for 15-20 minutes and pour the sauce over. The salmon was ready to eat and could be enjoyed hot or cold with the sauce. Our favourite meal was definitely the Cod with sunblush tomato dressing. The full flavoured sauce worked beautifully with the cod as well as the roasted rosemary potatoes. The ready to eat lemon and herb salmon fillets tasted fabulous served with cous cous and the meal was perfect at the end of a long, exhausting day. More lemon & mayo sauce would have been good though – the sauce was delicious. The sea bream with fennel and orange sounded appealing to at first but was disappointing. The sea bream shrunk in the oven and I felt the sauce was quite bland. The un-cooked, saucy fish is priced at 2.99/meal which is reasonable for the size and quality. The ready to eat salmon fillets are priced at 4.99 and serve 2. Totally worth it for the quality ingredients and the convenience. Despite the bland sea bream, I can highly recommend The Saucy Fish Co. as a great option for busy days when you don’t have the time to think/cook but still want something tasty and healthy. 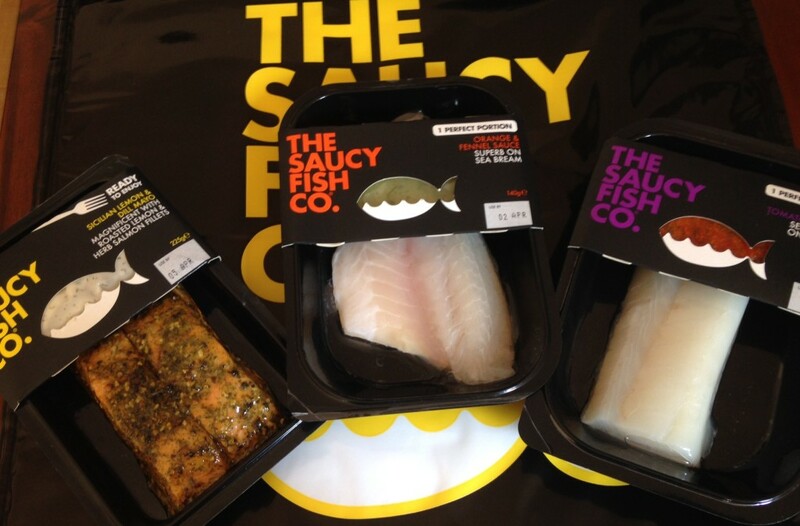 You can view the entire range of Saucy Fish products on their website: http://www.thesaucyfishco.com.